Tami Asars is quickly becoming one of the Northwest’s most cherished guidebook writers. 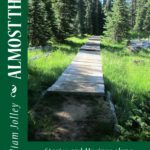 Her latest work will serve as the definitive source for anyone considering hiking Washington’s section of the Pacific Crest Trail (PCT). 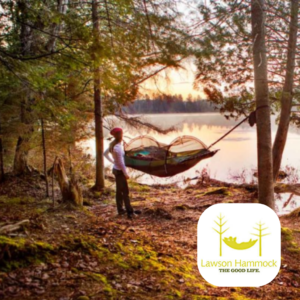 What makes Tami’s work so great is that she takes her years of experience as a former REI guide and brings that detailed knowledge and expertise to her guidebooks. She knows what you need to know and what questions you will have before you ever think to ask. 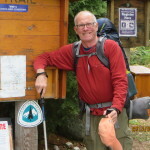 Want to know the reliable water sources between Hope Lake and Stevens Pass? Tami will show you. Want to know where to find the best pastries on earth after a long day on the trail? 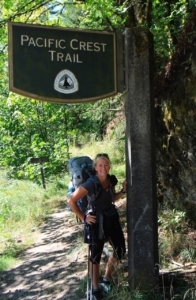 Tami will give you directions (here is a hint… p. 185). Tami provides exceptional detail and is a thorough researcher. 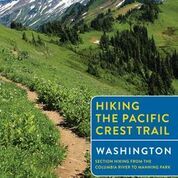 Her Hiking the Pacific Crest Trail guidebook breaks down Washington’s portion of the PCT into sections and legs that Tami took years to document. Each leg is illustrated with a detailed relief map that will tell you much of what you need to know at a quick glance; mileage, water source, trail numbers, camp sites, and elevation gain/loss are all at your fingertips. 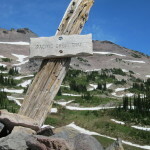 Sections itineraries are also suggested to help you plan your time on the trail. The book is full of guide tricks and knowledge only gained when you lead people around in the wilderness for a living. 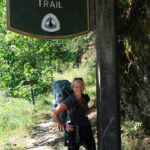 She quickly and easily demystifies the web of rules, permits, and land management agencies you encounter on the trail. She also provides advice and helpful hints about camping spots during busy seasons along the trial. Besides this very specific advice, Tami also gently reminds you of trail etiquette and hygiene considerations. While Tami’s book it packed full of must-have PCT knowledge and entertaining writing, the information is not the only reason to purchase the book. Tami is also an accomplished professional photographer and her book is beautifully illustrated by her own photos. 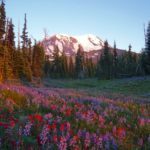 Glimpse into the wild through Tami’s lens and see the sights you can hope to see when you take your own journey on Washington’s PCT. 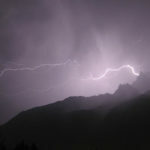 Tami Asars is a Washington based writer and photographer. 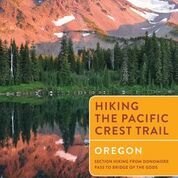 Her latest guidebook – Hiking the Pacific Crest Trail is available through Mountaineers Books.